Lake Nona / Laureate Park! 4 bedroom 3 1/2 BATH includes CARRIAGE HOUSE (apartment) above the 3-car garage! 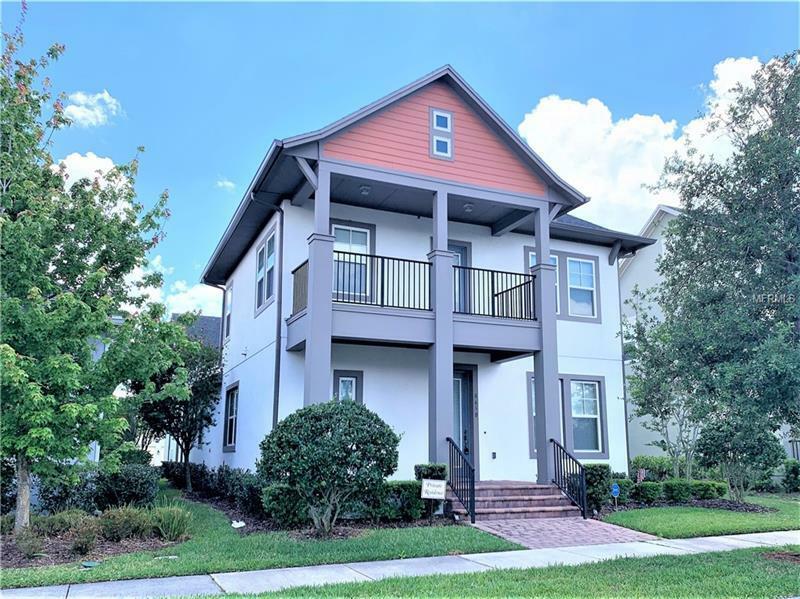 Welcome to multi-generational living or extra income generated from the garage apartment in this gorgeous and spacious 3077 square foot beauty with GROUND FLOOR master suite PLUS a ground floor dedicated home office PLUS an upstairs bonus room. Wow! SO MUCH FLEX SPACE SO MANY OPTIONS! This exquisitely maintained and SUPER CLEAN home will not disappoint with all the upgraded finishes you'd expect such as granite counter-tops 42" wood cabinetry island kitchen french doors formal living room with chair railing 2" wood blinds and tile and wood flooring. The master suite boasts an en-suite bathroom with dual sinks walk-in closet separate walk-in shower and tub. There is a downstairs office space with french door access AND a beautiful front formal dining room (or living room if you prefer). Upstairs are two bedrooms a bath AND a large bonus room with outdoor balcony access. There is lots of additional outdoor living space as well in the screened lanai back patio area the open courtyard PLUS the upstairs balcony and large front porch. Laureate Park boasts a resort-style pool fitness center and HOA includes common area maintenance community events cable and internet. Truly an EXCEPTIONAL HOME AT AN EXCEPTIONAL VALUE!